Ned Webster enters his fifth year as head coach of the Cal Men's Lacrosse program. He grew up in Baltimore, Maryland, playing three years of varsity lacrosse at the Boys’ Latin School before heading to South Bend, Indiana to play for the Notre Dame Fighting Irish where he started at attack, earning four titles in the now-defunct Great Western Lacrosse League and four NCAA tournament appearances, before graduating in 1999. In 2018, the Golden Bears won the WCLL Championship for the first time since 2000, a sign of good things to come. The Bears earned an automatic bid to the MCLA Tournament in Salt Lake City where they were matched up in the first round with the Colorado Buffaloes and came out on top, 15-11. Despite a quarterfinal loss, the Bears finished the year ranked No. 10 in the final MCLA poll. In 2017, the Golden Bears earned their second consecutive at-large bid to the MCLA National Tournament where they battled their way to the Final Four before falling to eventual champion Grand Canyon, 13-10. With a record of 16-3, the Bears finished the season averaging a robust 14 goals per game while allowing just 6.7. In the final MCLA Coaches Poll, the Bears were ranked No. 3, their best season since 2000. Webster- and staff- were named the WCLL and MCLA Coaches of the Year. In 2016, the Golden Bears ended the regular season on a seven-game winning streak and returned to the MCLA Tournament for the first time since 2012, finishing the year ranked #13 in the final poll. Prior to Cal, Webster spent nine seasons as head coach at Dominican University, transforming a win-less club team into a nationally ranked NCAA DII program, leading his teams to back-to-back Western Intercollegiate Lacrosse Association (WILA) Championships in 2013 and 2014, the same two seasons he was named WILA Coach of the Year. Webster also led his team to two NCAA DII Statistical Titles for Man-Up Offense in 2012 and 2013 and three times finished in the top 5 for scoring offense. Webster spent two years as an assistant coach for the San Francisco Dragons, the Bay Area’s former professional Major League Lacrosse franchise, coaching the offense and working with the goalies. Webster comes from a lacrosse family: his father Mickey is in the US Lacrosse Hall of Fame and won two National Championships with Johns Hopkins, while his brothers, Jim and John, played lacrosse at University of Virginia and the University of North Carolina, respectively. Coach Webster married his wife Megan in Berkeley in 2011, and they currently reside in Marin with their 3-year-old daughter Ella and their dachshund Frank. Coach Casey Keenan enters his third season on the Cal coaching staff. He will work primarily with the goalies, defense and faceoff men, while commanding the substitution box on game days. Keenan grew up in Pleasant Hill, California and played lacrosse at De La Salle High School where he was an All-EBAL goalie, leading the Spartans to their first North Coast Section Championship in 2008. He continued his stellar career at the University of California-Berkeley where he was named 2012 WCLL Defensive Player of the Year, as well as MCLA All-American, while leading the Golden Bears to the MCLA National Tournament. "We're excited to have a Cal Men's Lacrosse alumnus join our staff,," said Webster. "But mostly we're happy that it's Casey. He's not only a great guy and an excellent, detail-oriented coach, but like many of our current players and prospects, he was recruited by Division I programs and felt Cal offered the perfect 'balance' between the academic, athletic and social components, so he's a perfect person to help sell the program." Keenan currently works in Sales Planning for the Clorox Company and resides in San Francisco. Will Young is a New York native and is in his first season on staff with the Bears, bringing many years of playing experience as a defenseman from the University of Notre Dame and Phillips Andover in Massachusetts. Will has an excellent pedigree and a high lacrosse IQ that he's passing on to the Bears. When not coaching lacrosse, Will lives in San Francisco and works in commercial real estate development with Mitsui Fudosan America. For over 20 years, Christopher Dean has been involved in coaching at the youth, high school and college levels in Pennsylvania, Texas, and California. A former high school All-American from West Chester, Pa., Coach Dean played college lacrosse at Villanova University. Dean joined the Bears coaching staff in 2015 with Head Coach Ned Webster, prior to serving as an assistant coach at then NCAA DII Dominican University with Coach Webster. Dean spent two seasons as an assistant coach at Marin Academy, helping the Wildcats to a record of 31-8. In his two seasons at Marin Academy, Coach Dean helped the Wildcats win the NCS Division 2 Championship and was named Assistant Coach of the Year by the Northern California Chapter of US Lacrosse. Since 2002, Dean has been involved with the Ross Valley Youth Lacrosse Club in Marin County. Coach Dean is employed by Buckles-Smith as Director of Sales. He lives in Marin and has two children, Sydney and Owen. Joel Derechinsky enters his second season on the Bears sideline, helping with the offense and goalies. He is a UC Berkeley employee, working as a Learning Specialist in the Cal Athletic Department. Joel is a Maryland native and recently earned Athletic Hall of Fame honors for his success on the field at the Annapolis Area Christian School. He continued his education and playing career at Gordon College in Massachusetts where he earned his B.A. in Psychology with a minor in Sport Studies. Joel returned to graduate school at Boston University where he earned his M.Ed. in Clinic Counseling and Sport Psychology before entering his career. 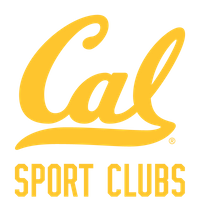 Joel played several years of post-collegiate lacrosse, both professionally and internationally, and currently plays alongside several Bear alumni on the East Bay Athletic Club. Joel lives in North Berkeley.